Want to know HOW TO..? Have a FREQUENTLY ASKED QUESTION..? Edit: 50 kilobytes exceeded, sorry, no pics. Last edited by zod on Sun Sep 09, 2018 5:04 pm, edited 1 time in total. Maybe it's time to READ them (again?) and ADHERE to those rules? I've read that pictures should be 800x600, and my pictures are not bigger than that, so it's in compliance with forum rules. I think this topic is relevant for T6x series subforum, at least much more relevant than no-pictures "Great games for T60", for example. But as you wish, I just thought that we could open discussion about technical aspects of this mod, in this subforum it just makes no sense at all. I will try to avoid any pictures in the future. Forum Rules wrote: 5. PICTURES. IF needed, you may add one or more photographs to your post. In that case you must also place a warning in the Subject: line! PLEASE note that you may have multiple thumbnails (ideally linking to full-sized images) as long as their sum does NOT exceed the 50KB limit. It would also be greatly appreciated if you can keep the pixel dimensions to something around 800x600. Any picture(s) exceeding this 50KB limit may be changed to link(s) by an Administrator/Moderator (without warning). Even your very first picture in this thread already exceeded that 50KB limit, but we let you get away with it this time. Suggestion: since FrankenPads are rather 'old hat' by now, and they are nearly all "lookalikes" (I have built 74 of 'em over the years), start a new thread in the T6x Forum to discuss your mod's technicalities. Ok, now I understand: more than 50k (it's amount of RAM in my 1983 Sinclair Spectrum) in sum for photos in topic is too much It would be much easier forbid pictures totally, don't you think? I suppose those rules were written in 2003. But ok, as I have already said, no more pictures from my side, ever, I promise. I agree with your suggestion: T601 is an old hat, so let's discuss those great games for T60! For me, when I post pictures, I do this on paint.net. 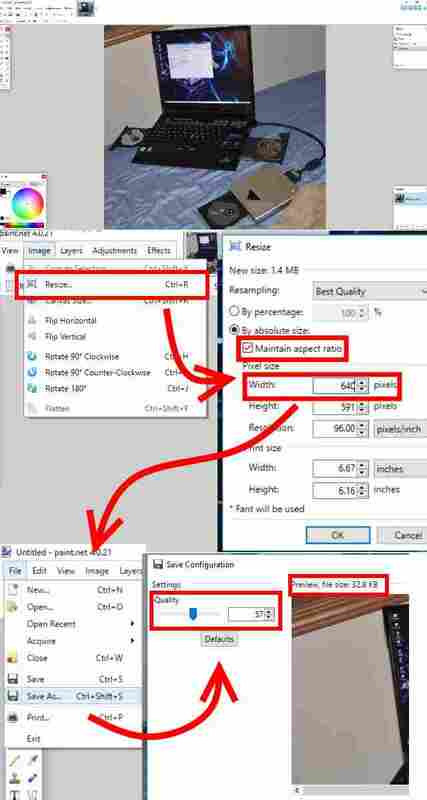 1) Resize...set the horizontal to 640 and let the program handle the vertical resolution. 2) Save as JPEG, turn the quality down until it is around ~25 - 50K depending on what I'm posting. I know how to use Paint. 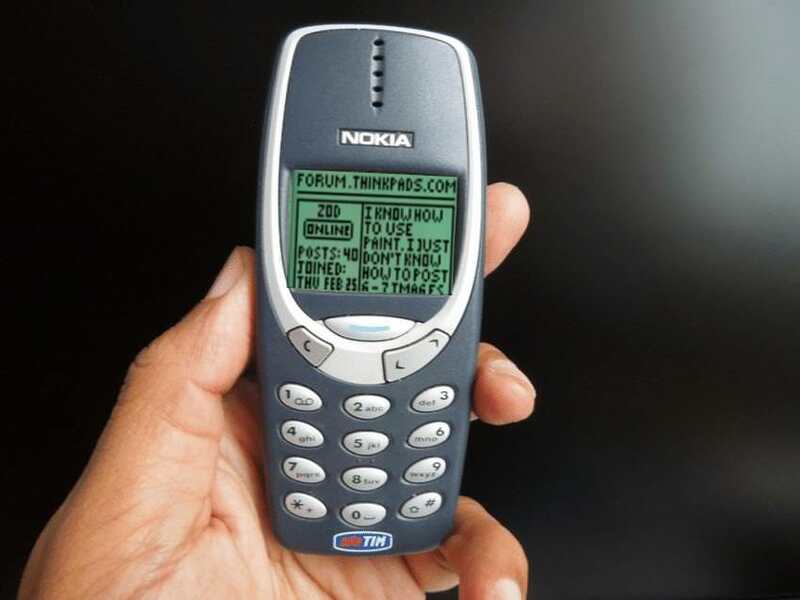 I just don't know how to post 6-7 images and keep them under 50Kb in total, but I fully understand that some imaginary community member can experience difficulties opening them on his Nokia 3310, so let's keep 50K limit to eternity. And I thought we already solved this problem - there_will_be_no_pics_from_me_anymore, so Paint lectures on this heavily massacred topic are completely unnecessary. I already regret sharing my old hat built with community, this will not happen again. sign up with the likes of www.imgur.com and upload your pictures there, either as individual pictures, or as an album. Then just post a link to those picture(s) or album(s) here and everybody will be happy. The forum image size restriction is a bear. I still don't know exactly why they've implimented such a bizarre rule. They say people are furiously browsing this forum from smartphones and simply cannot deal with anything over 50Kb. and has never been updated. Forum staff apparently has no clue that most people nowadays have 4 or 5G LTE service. scenario with no end in sight. I apologize to you for haveing to deal with this arbitrary rule. You build yourself a cool laptop and you can't even show your friends the finished product online. That's simply not true. Linking to an external site (imgur, photobucket) works just fine, and many of us have been using it for years now to share our builds. Also no clue that most people browsing this forum have high speed wireless or wired internet. We've had this conversation before. Broadband connectivity on *any* level is still an issue in many rural areas. This section of the forum ("pictures...) was created AFAIK with the very idea of enabling forum members to have an area where the picture size restrictions don't apply. Use it and enjoy. Or don't. Should it be handles the way it currently is? Yes and no. For "first time offenders", it can be very intimidating. It has scared me, zod, and countless others every once in a while. Did I read the forum rules before joining. Yes. Not everyone will remember the 50K rule when it is bunched in with trolling and email and other rules. Now if someone is spamming too many images and they need to be pulled, by all means the current system does a fine job at that. Also, the images in the regular forums should be much more restricted than here, for obvious data reasons. Finally, the auto-sizing would help for new members who don't realize how big camera pictures are and post a 5mp picture nobody can see. zod & storm-chaser: you can't assume that. As you see, I have broadband and still need the 50K limit in place. It is a useful rule, despite being antiquated. ajkula66: As much as I want anyone to enjoy this forum regardless of where they are or what kind of connection they have, it would be illogical to lower the national highway speed to 45 mph just because a few people still want to daily drive a 1967 VW beetle, if you know what I mean. Say, maybe an option could be made on the forum to prevent over 50K images from loading, if the auto-resizing doesn't work for any reason. Don't imagine it would be all that difficult. Before I start slowing down some rural connections with over 50K of text, I think I'll stop here. OT: Does anyone know how to reference someone without having to quote them? Apart from posting a LINK to your picture(s), this BBCode website gives you perfect examples of how you could please (almost) everybody on this Forum! And if there was a proper working PHPBB function or mod that could be implemented in the Forum software, it would have been implemented years ago! Until such time, we have to make do with our current Rules. I forgot that this is phpBB and not vBulletin. EDIT: The image thing for resizing doesn't appear to work? Actually, you may well find that there is just such an image resizing tool for phpBB forums. I know, I employ it on some of the starter forums I set up. It depends on the forum software version of course and whether the forum has migrated to "Extensions" based versions in place of the original (an now older) "Install MOD" versions of phpoBB software. Both types of forum software are relatively easy to work with to include a lot of useful tools not just limited to the "image resizing" add-ons. Edited because I have a protective plastic (sheet) cover over my new keyboard and I keep failing to notice it is restricting some of the keys and missing the odd letter or two out. Glad I have it on there as a cup of hot tea got spilt over it courtesy of a feline in the midst of a "running about" moment!! We are on the latest PHPBB V3.2.2 with Extensions. And like I said, we have hunted around for any useful addition, nothing found. So please don't start a sidetrack. Hi Zod, I'm sure I've written about this before elsewhere, but I value that rule for 50kb images. Unlike some places in the US (I hear not all), Japan never adopted the concept of 'unlimited data'. I have and take the option to pay for a few gigabytes (with a few gigabytes more that can carry over in any given month) [at least it is 4G LTE in Tokyo, but recently on vacation in the south it was a solid 3G limit] and then you are slowed down to 20-200kb data transfer per second once exceeded. If all forum members posted their images (which do auto-load on opening the thread) at an unlimited size, my data allowance would disappear within the first couple weeks of each month (that I am on this forum). Singapore was only slightly better when I was having a long stay over there. Same could be said for (travelling SIM) in New Zealand. I hear the situation is equally, if not slightly worse in many European countries, as well. I hope you and others in the future may understand. I envy that you still have a working Nokia 3310 device. Is it locked to a carrier? That Nokia 3310 is a stock image I photoshopped, though I do have a locked Nokia 3360. But ok, as I have already said, no more pictures from my side, ever, I promise. If we want to be realistic here, hitting www.google.com - the completely blank page with a single search box - pulls back 500K. For the record, I did pull up my (National, quite large) University's webpage on my old Thinkpad 365XD (iirc?) with the help of the IBM LAN network adapter. I think it was using HTTPS, but I can't be sure. If I can pull up the cute little image I put on Snapchat and sanitise it appropriately, I will make an edit / respond to your response (as appropriate). Is image-loading warning still enforced in the forum in 2019? Turns out you cant drop them from any height... One very dirty workshop rig that took a dive from a lorry cabin.